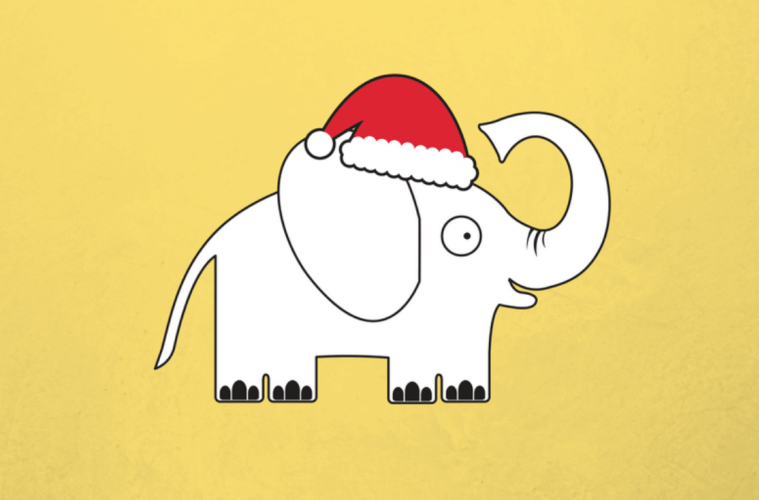 The holiday tradition of a white elephant gift exchange can be a social landmine. Here are some great ideas under $20 to help you out! The trick with a white elephant gift is that you need something that people will want while remaining office-appropriate and under $20. All of the items listed below would surely be fought over at the next office party. This little online company has the BEST socks. No joke, I gave everyone on my list different sassy socks one year, and they loved them. At $10.95 a pair, you can add one of their sale items or some candy to bring this up to $20. Laugh all you want, but the little lavatory sprays at Poo-Pourri are fantastic. People will jokingly try to hand this off to the office stinkpot, but the lucky recipient will really appreciate this gift. The holiday gift set is priced just right at $19.95. You won’t be able to get a good bottle of Champagne for $20, but you can definitely get a nice Prosecco for a sparkling toast. Total Wine does all the homework for you, so just pick a highly rated wine within the price range. A box of good chocolates will always be welcome. This Lindt Swiss Luxury assortment is $14.99. This Trivial Pursuit Family Edition would be great for anyone with kids or friends who aren’t that bright. At $17.99, it’s just under the wire. Bonus: think of how easy it is to wrap! Apples to Apples or Guesstures are other good options. For the procrastinator, you can never go wrong with an envelope full of scratch-off tickets. Try to remember to stick a candy cane on it so it looks like you put in some effort. What’s your go-to gift for white elephant gift exchanges? Let us know in the comments below! For a real jolly time, try our Hallmark Christmas Movie Drinking Game!